I reflect on challenges to the validation of theoretical models from the perspective of a critical rationalist seeking to develop true explanations of empirical phenomena. I illustrate my arguments with examples from the rich literature on social-influence models, a field that has profited from contributions from various disciplines such as physics, and mathematics. 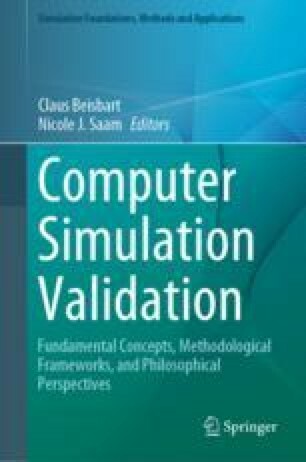 While this field is characterized by a large number of competing formal models, it has been criticized for having failed to generate reliable explanations and predictions, because of a lack of empirical research validating models. I list five challenges to model validation in the social sciences: First, social-scientific theories are based on many obscure concepts. Second, many social-scientific concepts are latent. Third, the representation of time is unclear in many models. Forth, in most social settings, various processes influence dynamics in parallel. Fifth, context dependencies limit the development of general models. Clemm von Hohenberg, B., Mäs, M., & Pradelski, B. S. R. (2017). Micro influence and macro dynamics of opinion formation. SSRN. https://ssrn.com/abstract=2974413. Mäs, M., & Bischofberger, L. (2015). Will the personalization of online social networks foster opinion polarization. SSRN Electronic Journal. https://doi.org/10.2139/ssrn.2553436.